A.P.M., Inc. is a national distributor of computer printer supplies. Our company has a large selection of laser toner cartridges, MICR toner cartridges, inkjet cartridges and ribbons for all your printers and fax machines. Our products are helpful to the American economy and are also eco-friendly. 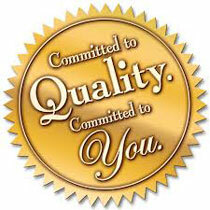 Most importantly, all of our products come with our 100% satisfaction guarantee.